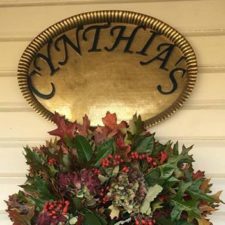 Cynthia’s Bistro is offering free take-away meals to anyone who needs a meal or wishes to have a home cooked meal. No questions asked, just free food. Stop by Cynthia’s this coming Thursday from 4:30 to 6:00 to pick up your meal. This is just another reason I love this community. Thank you Cynthia!